The Kahului Corps has been providing a wide range of services to needy families for more than 110 years. It provides emergency assistance to struggling families including food, rental and utilities assistance. It also operates the William Booth Safe Haven, a drop-in center which provides basic services to the homeless and the Care-A-Van program which utilizes a van equipped with basic survival needs and medical supplies. Each year, The Salvation Army Hawaiian & Pacific Islands serve thousands in need across our communities with meals, housing assistance, clothes, supplies, substance abuse treatment services, youth programs, and holiday gifts. 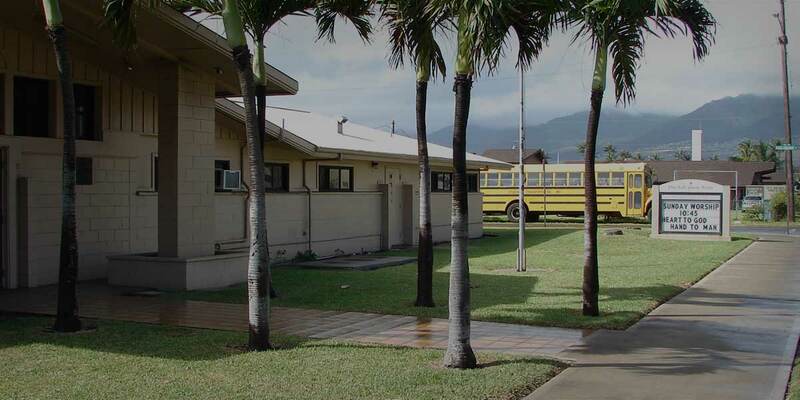 The Kahului Corp Community Center offers character building programs, christian education, community recreation programs, day care, music & arts programs, women ministries, and worship services. Our motto of "Doing The Most Good" is put into action every day as we change lives, transform our community and remain a steadfast beacon of hope for those in need in Kahului and the surrounding areas.